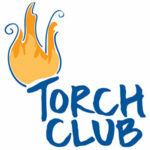 Torch Club is our middle school leadership club for 6th-8th graders. Torch Club members learn to elect officers and work together to implement activities in four areas: service to Club and community, education, health and fitness and social recreation. Each year, Torch Club members from all over the country take part in a service-learning experiences through the National Torch Club Project. 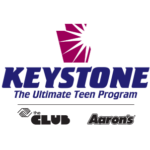 Keystone is the Boys & Girls Club Movement’s most dynamic teen program. It affords high school teens an opportunity to gain valuable leadership and service experience. They conduct activities in three areas: academic success, career exploration and community service. Our Watch City Keystone Club is a Gold Level Keystone with over 4,000 hours of community service combined. Members must interview and meet certain requirements to become a part of Keystone. 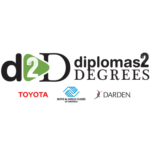 Diplomas2Degrees (d2D) is a college readiness program designed to guide Club members as they work toward high school graduation and prepare for post-secondary education and career success. D2D helps teens develop both short and long-term goals, while familiarizing them post-secondary education through experiences like college tours. It also assists youth in securing financial aid and fosters supportive relationships with adults who can provide support throughout the college experience. 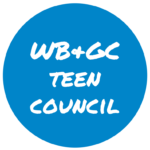 Teen Council meets to discuss changes they would like to see as well as taking on the task of planning events for teenagers. This is a drop in program for teens ages 14 and up. 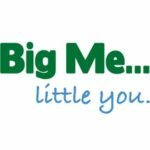 Big Me, Little You is a program that offers an opportunity for middle school and high school members to become mentors. They will go through a training on how to be the best in-Club mentors they can be. Each participant will be partnered with a younger Club member to help them with homework and guide them through everyday life. This program is for youth ages 13 to 18 to explore a broad range of career areas, match their interest to career clusters and identify the skills and education needed for their particular career path. 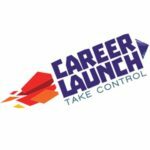 Career Launch is designed to support youth in preparing for their first job, internships, summer employment and so much more! This program runs in the winter and spring. SMART Girls is a small-group health, fitness, prevention/education and self-esteem enhancement program designed to meet the developmental needs of girls in three age groups. Through dynamic sessions, highly participatory activities, field trips and mentoring opportunities with adult women, Club girls explore their own and societal attitudes and values as they build skills for eating right, staying physically fit, getting good healthcare and developing positive relationships with peers and adults. 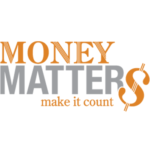 Money Matters promotes financial responsibility and independence among Club members ages 13 to 15 by building their basic money management skills. Participants learn how to manage a checking account, budget, save and invest. They also learn about starting small businesses and paying for college. Our Money Matters program is run by volunteers from Belmont Savings Bank. The Waltham Boys & Girls Club offers jobs to teenage youth based on their commitment to program participation and the community. This program will provide your Club staff and volunteers with tools to guide young people in preparing for a career in Boys & Girls Clubs and/or other service professions. Through participation in Junior Staff, teens will develop interpersonal skills, a strong work ethic and a sense of community engagement while experiencing on-the-job Club work. 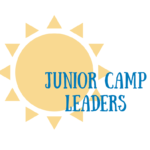 Junior Camp Leaders complete a minimum of 40 hours of community service throughout the summer. They gain valuable leadership skills as well as job training to be summer camp counselors. Our highest hours of service achieved from teens this past summer was 360 per Junior Camp Leader! 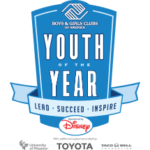 Since 1947, Youth of the Year has been Boys & Girls Club of America’s premier recognition program, celebrating the extraordinary achievements of Club members. Each year, one exceptional young person from a Boys & Girls Club rises to the role of National Youth of the Year. The National Youth of the Year serves as both an exemplary ambassador for Boys & Girls Club youth and as a strong voice for all of our nation’s young people. The journey to being named National Youth of the Year begins locally and progresses to state, regional and national levels with an additional military phase for members of BGCA-affiliated Youth Centers on U.S. military installations. The Waltham Boys & Girls Club Youth of the Year winner receives a $1,000 scholarship.